The Ascend P6 may be the thinnest smartphone on the market right now, but since that title is Huawei's to lose, it's actually a good thing that this sleek devices has a few more tricks in the bag too. The Huawei Ascend P6 has got a solid built, it's good-looking and lightweight and it comes with a good enough 8MP camera, along with a 5MP front facer. There is also the MagicTouch that allows you to operate the screen with gloves. The smartphone also runs on a completely overhauled Android 4.2.2 Jelly Bean edition thanks to Huawei's own Emotion UI. 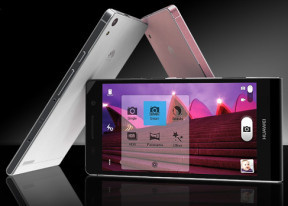 The Ascend P6 is snappy and delivers great smartphone experience on its 720p IPS+ display. The lack of an app drawer might not be everyone's cup of tea, but Huawei did a great job simplifying the user interface without sacrificing too many features. Not to mention the proprietary add-ons the Chines have built into it, such as the phone profile switcher, the wealth of customizable themes, the enhanced power management capabilities, the office document editor, the customizable keyboard, the Dolby Mobile sound enhancement and the proper video playback codec support. We are really happy with what Huawei did with the Ascend P6. It's a unique and beautiful phone with a different take on the user interface that breaks the standard Android mold. There is something for everyone to like in the P6 and it's a phone that's definitely worth your consideration. The Ascend P6 is not alone out there though. There are plenty droids with similar screen specs, though none of those competitors is as slim and lightweight as the Huawei Ascend P6 is. In case the lack of LTE or NFC bothers you, or you want an even better 13MP rear camera, you can sacrifice the memory expansion slot and get otherwise the same Huawei Ascend P2. The P2 has been around for a while, it costs the same amount of cash and is powered by the same chipset. Still, it's some good 2mm thicker. LG has two droids with 4.7" 720p displays and quad-core processors - the Optimus G and the Nexus 4. Both devices have completely different interfacese, but they share the premium looks and materials. The Optimus G runs on Android Jelly Bean, but is heavily skinned with LG's proprietary UI, while the Nexus 4 is an official Google phone that offers the pure Android experience and timely updates. Both LG droids cost about as much as the Huawei Ascend P6. 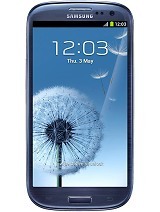 Samsung's last year flagship - the Galaxy S III - is another device to consider. As powerful as the Ascend P6, it's built around a 4.8" 720p Super AMOLED display and is still among the first Samsung devices to get software updates. The Galaxy S III costs about the same as the Ascend P6, but its plastic shell is not even close to matching the P6's exquisite styling. There is no way we are ignoring HTC's last season's top dog either, the HTC One X+. It too packs a 4.7" 720p display and is powered by the similarly performing quad-core NVIDIA Tegra 3 platform. The smartphone runs Android Jelly Bean too, but the lack of a microSD slot and the uninspiring camera performance let it down. It's also slightly more expensive than the Ascend P6. On the positive side, it supports LTE and NFC, so if you need either of these connectivity options, you should really check it out. The 4.6" 720p Sony Xperia SP is a great alternative to the Ascend P6 as well. It's some 50 euro cheaper and offers LTE and NFC, a memory card slot and a comparable 8MP still camera. Its CPU comes two cores short of the Ascend P6's home-brewed chipset but has the Krait architecture that has proven to offer far superior per-core performance. And the GPU of the Sony smartphone simply wipes the floor with that of its competitor. Finally, the LG Optimus 4X HD comes with an equally big 4.7" HD display, an equally powerful quad-core Cortex-A9 chipset and has (finally) been upgraded to Android Jelly Bean. The device has been available for more than a year now and it's been heavily discounted already, going for some €100 less than the newly released Ascend P6. The attractive price has made it a popular choice lately and we guess it's an important option for you to explore. It's never easy deciding on a phone, but it's easy to acknowledge a good one. The Huawei Ascend P6 is a solid performer in its class - one that is certain to put pressure on the competition. On the other hand, Huawei and the Ascend P6 are dealing with little or no pressure, being the underdog in this race. It may be a role they enjoy but one they aren't keen on playing forever. And they've shown it consistently.